Feeding your rabbits in "survival mode?" I raise rabbits. I have a small place. Not much room for much else. i.e. for a garden, fruit trees, etc. My question is: How do/would I feed my rabbits in order for them to survive and I survive on them if there was an actual problem? If we have a problem in our stores, it could be assumed that rabbit feed manufacturers or hay growers might be in the same situation. If there is no viable access to rabbit food they will die and then we will do without. 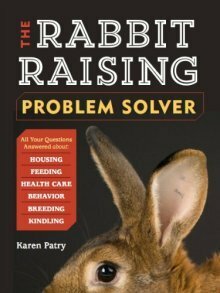 (Karen sez), since this page was posted several years ago, we've since written and published our e-book, Feeding Your Rabbits With or Without Pellets. You'll get some great info on how to ensure a healthy balance of nutrients without feeding pellets. Comments for Feeding your rabbits in "survival mode?" You can grow plants right in your house, next to the windows. Like kudzu beans, lettuce, beans, maybe (if electricity available) aquaponic system, also will add fish to your diet. What to feed rabbits in an emergency situation? So, let's say that you live in the inner city, and that you have just a little courtyard inside your building - how in the world are you going to feed those little beasties without any of your own resources? The first thing that comes to mind is - vacant lots, parks, roadsides, tree branches. I firmly believe that rabbits can be fed effectively by providing them with a variety of foodstuffs that YOU can collect in the various areas mentioned above. If you've purchased rabbits that have been bred especially for meat production purposes, such as Californian, NZ, Champaign de Argent, etc., they will need a goodly amount of food MORE than the show breeds, but it can certainly be accomplished, it will just take more work and determination. If you just keep thinking that this is to make your family survive, it will drive you to do what it takes. Remember, your family can certainly help you accomplish this goal, unless they are invalids. Any normal, healthy individual, even little children, can contribute mightily, given the right incentives, such as eating/survival. Don't settle for the idea that you are helpless, that's just BS. But start your survival preparedness, with a vengeance, NOW. There are myriad instructional videos on the internet that can teach you how to do most anything, and often one topic leads to another that you were unaware of earlier. Soak up knowledge NOW, and put it to work NOW, to keep from getting caught unprepared. If you aren't in the inner city, chances are you have more available to you than you thought possible. Get creative, and don't be afraid of the unknown. Use your God-given ingenuity to create solutions to today's problems, as well as tomorrow's ahead of time. In conclusion, be brave, creative, and unafraid to use other people's ideas. Your concerns are completely founded. A time might come when you can't count on the availability of anything. 1) People are stockpiling right now to feed themselves if needed - why not toss in considerations for the rabbits? Keep on hand a supply of (non-GMO) grain, for example, whole oats. Your rabbits can do very well on lawn and yard clippings, and even more so if supplemented with whole oats. Oats and other grains will keep for several years in a cool dry space, so stockpile a few 50-pound sacks, rotating them as needed. 2) Take stock of your neighborhood now, with a view to obtaining enough green stuff from out and about to feed your rabbits, should you exhaust the yields of your own property.